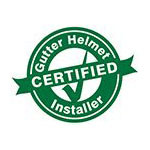 Rain Guard Inc. is one of Oklahoma’s largest gutter companies specializing in seamless gutters and Gutter Helmet. 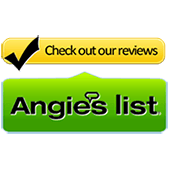 With over 250,000 satisfied customers, we have been serving Oklahomans for over 31 years with offices in Norman, Oklahoma City and Edmond. Rain Guard is dedicated to providing our customers with the best services and products and ensuring that all our customers are 100% satisfied. Most people don’t realize the important job rain gutters and downspouts do, and how important it is that they function properly. They aren’t just for looks; they help control moisture in your home. By channeling rainwater to the downspout and away from your house, your gutters prevent wet conditions that support mold and wood rot, and keep basements, crawl spaces, and garages dry. Now that you see the importance of rain gutters, you see the need for them to keep doing their job. The main thing that will keep them from operating effectively besides improper installation is debris clogging the system. Homeowners know well how easily leaves, pine needles, twigs, and even animals can clutter up their rain gutters. When the mass of material gets to heavy, water will not flow to the downspout but instead over the sides, just as if you had no rain gutters! That is why we recommend installing a Gutter Helmet gutter protection system on your new seamless gutters. We are Oklahoma’s designated dealer for this #1 leaf protection system. The patented nose forward design lets rainwater in and keeps gutter-clogging debris out so you don’t have to worry about keeping your gutters clear. To learn more about how we can protect your home from the damaging effects of rainwater with our expertise in gutter installation and protection, call us at (800) 824-3772 or fill out our online form here.